The use of computers has brought about ethical, legal, cultural and environmental impacts. These issues increasingly affect people's daily lives. Environmental issues are those where the manufacturing and use of computers has had a negative impact on the environment. Resources are needed to in order for computers to be produced, distributed and used. Metals and plastics are used to manufacture components, while energy is expended in distributing equipment and in using it. , need to be left running continuously. This requires lots of energy to maintain. Additionally, businesses, organisations, schools and homes all now have greater access to technology. 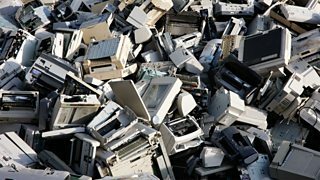 All of this means that computers have a heavy impact on the environment, which is unlikely to decrease in the near future. However, many devices are now more power efficient than their predecessors and some companies have come up with innovative ways to save power.